The Pepwave Surf On The Go demand is very high and the product was back-ordered for a few weeks. We're happy to announce that the Surf OTG is now back in stock and pre-orders will be shipping today! 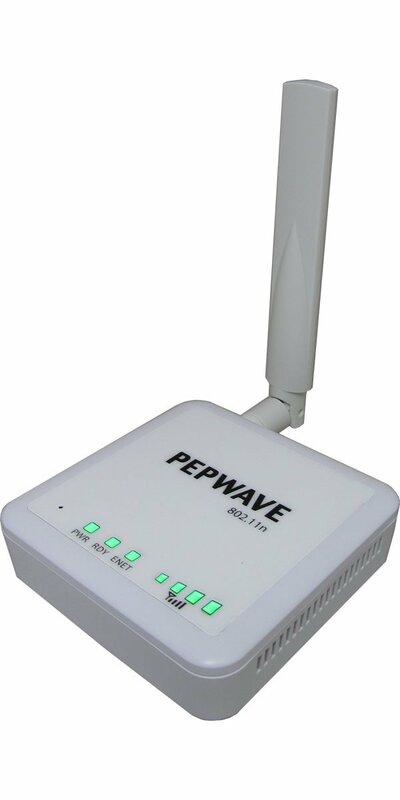 The Pepwave Surf On-The-Go is one powerful little solution for multi-device, multi-user, on-the-road wireless connectivity. Use it as a Wi-Fi repeater to expand coverage over a wider area. Connect your 4G/3G modem and use the Surf On-The-Go as a travel router. Make wired devices, such as printers, play nice with wireless networks. And share a single paid Wi-Fi connection among your laptop, tablet, and smartphone. With the Surf On-The-Go, you get all the mobile connectivity tools you need in one easy-to-carry, simple-to-use device. Whether you're in the center of everything or the middle of nowhere, hotspots never seem to be available when you need them. But with a 4G/3G modem and the Pepwave Surf On-The-Go, you can create your own hotspot wherever you are, even in a moving vehicle.